SSM Health Agnesian (formerly Agnesian HealthCare) has developed a local community of facilitators who provide support and mentoring to one another. Having completed several MDBD cohorts, Agnesian HealthCare’s mission leadership now looks to MDBD graduates to serve as facilitators. As of 2018 the organization has joined with SSM Health who has added more cohorts of MDBD. Agnesian facilitators and graduates are able to share their wisdom system wide as SSM Health implements its comprehensive formation strategy. 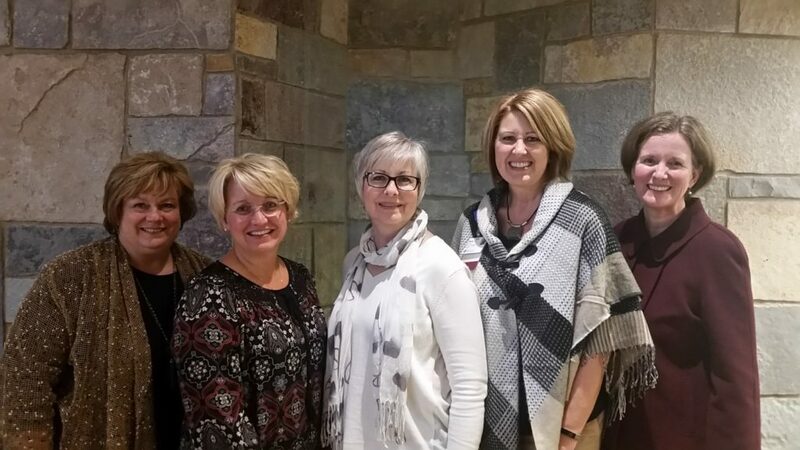 Formation graduates lead in a time of transition: Dawn Vandenberg, Regional VP of Mission for SSM Health, notes how she continues to count on MDBD facilitators and graduates to be “mission extenders”, as they create and lead reflective activities and rituals throughout the organization. Their leadership has been especially important over the many months that her organization has been in the midst of a merger. All LFP programs, including the award-winning Mission: Day by Day, offer expertly produced and substantial formation content. Carefully designed meeting structures create opportunities for the facilitator to support shared learning. Evaluation data helps program sponsors and mission leaders track formation learning. 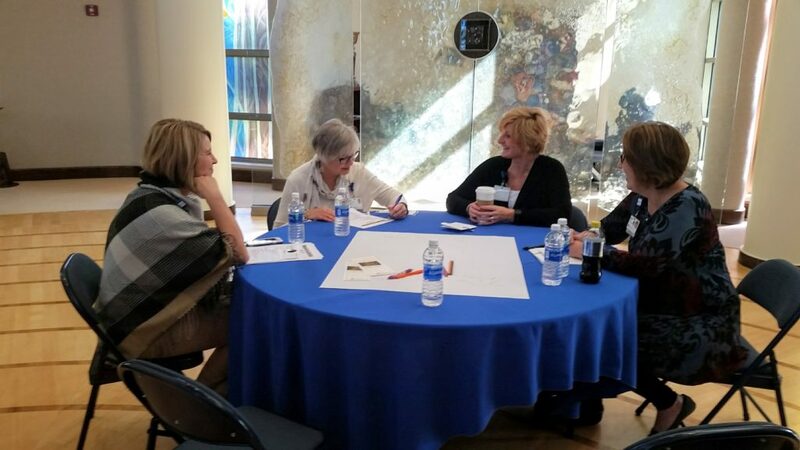 Most often working in teams of two, local facilitators lead the flexible and easy-to-implement programming while receiving expert coaching and guidance throughout. Local facilitators need not be theologically trained, but must demonstrate a passion for the mission. 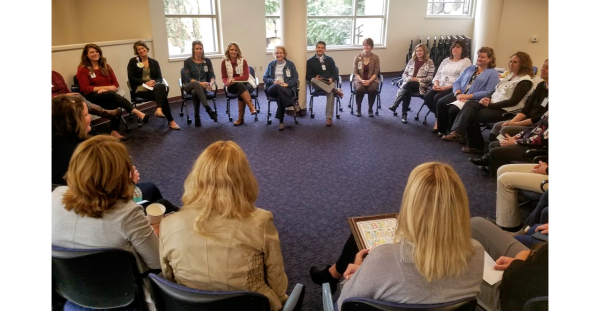 Those who graduate from foundational formation programs like MDBD may serve as facilitators and can help to build a facilitator support community within the organization. Facilitators from OD, nursing and administration celebrate the completion of cohorts. LFP managing partner Bridget Deegan-Krause (end right) offered coaching and guidance throughout. 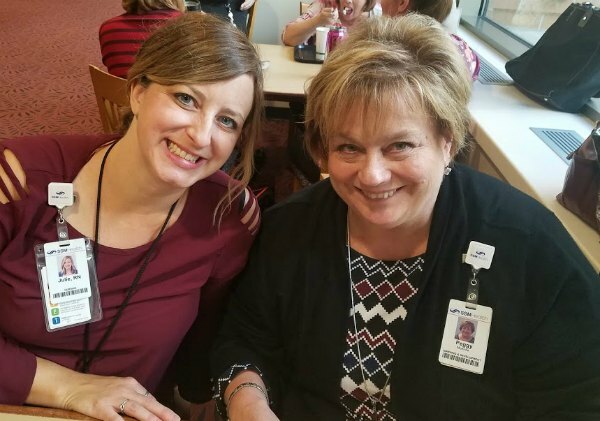 Peggy McArdle, RN BSN, Director of Service Excellence and Organizational Development at SSM Health Agnesian, enjoys guiding facilitators in this important role. She is pictured here with a new MDBD facilitator who has just facilitated a great meeting. You can read some of Peggy’s facilitator wisdom here.